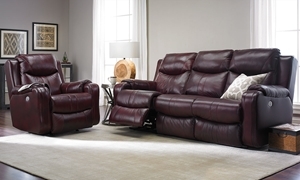 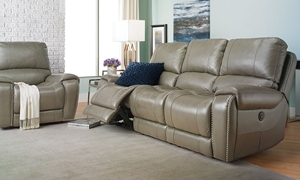 100% leather tight back sofa sports sleek, sloping track arms accented with bold nail head trim. 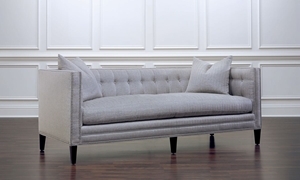 Button-tufts and nail head trim accentuate the sleek shape of this tuxedo sofa in a steel grey shade reminiscent of towering skyscrapers. 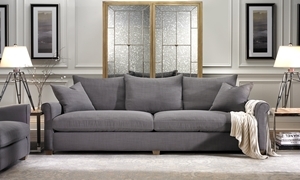 American-made oversized sofa features deep seating between sophisticated Charles of London arms and five complementary accent pillows. 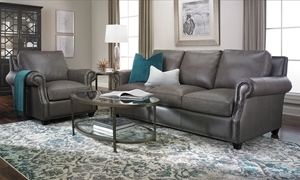 8-way hand-tied coils combine with feather down blend wrapped cushions in a casually sophisticated style. 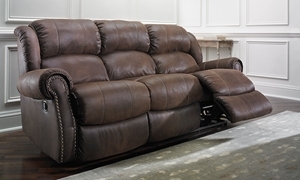 100% top-grain leather roll-arm sofa with hand-tied Marshall coil and luxury feather down seating. 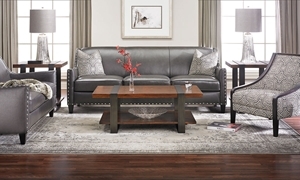 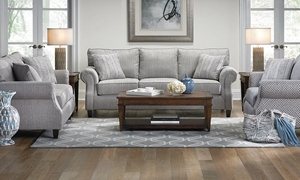 92-inch sofa handmade in America features cutback roll arms and stain-resistant upholstery in a grey stonewash shade. 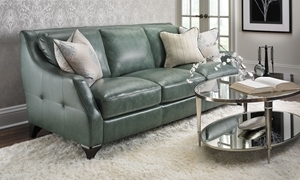 Handmade top-grain leather-and-feather high-back 84-inch sofa with hand-tufted detailing and 4 accent pillows. 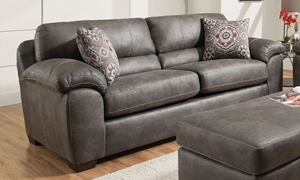 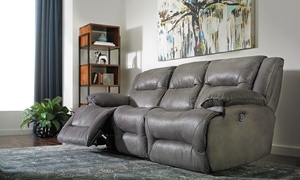 Oversized leather-look high performance poly blend sofa with overstuffed seat back, arms, and deep seat cushions.